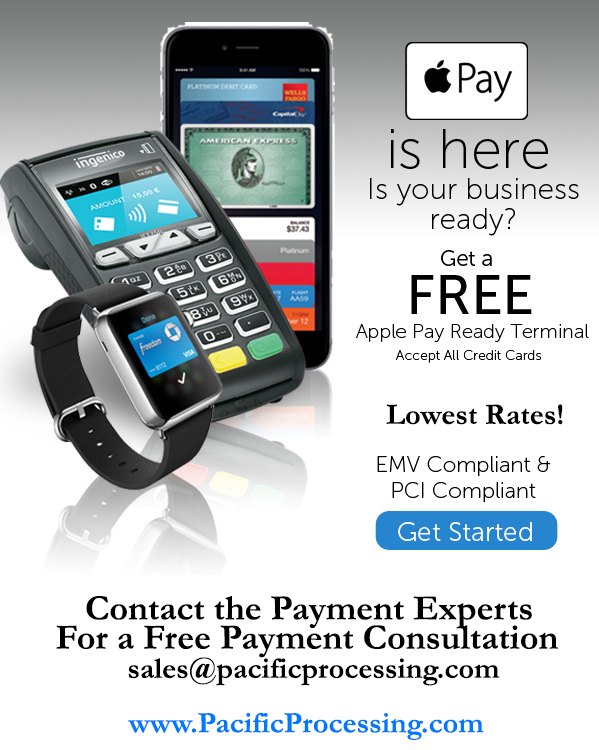 We have partnered up with several premium providers of Credit Card Processing Solutions. Offering the best and most competitive pricing, we are happy to take new customers as well as existing Merchant Processing Customers to the next level. New Businesses– us a call — or email us, and we will send you back an easy to fill out questionnaire that will allow us to place you in the best program possible. Remember, at Pacific Processing, our #1 Goal is Customer Service. We are committed to having lifetime customers. We will do whatever it takes to keep your business, and we appreciate the loyalty that has allowed us to grow from our already existing customers.